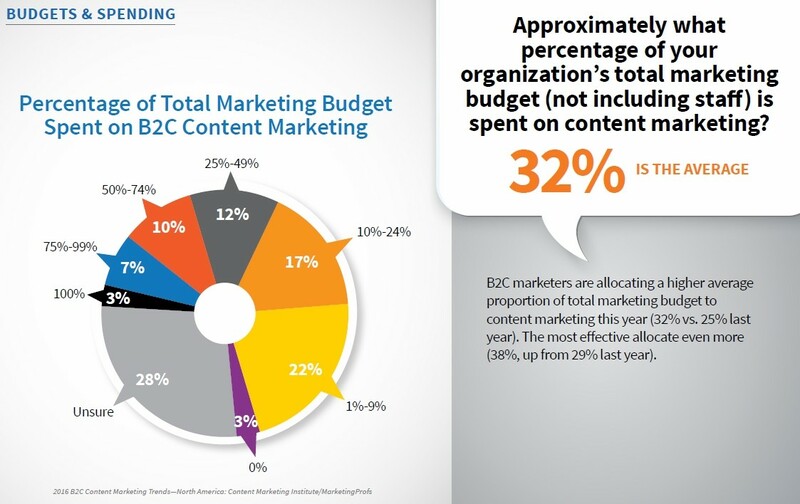 Business-to-consumer (B2C) marketers have made significant progress over the past year in content marketing, reporting that they are allocating more budget toward content and getting better results from popular social platforms, according to the B2C Content Marketing 2016: Benchmarks, Budgets, and Trends—North America report. 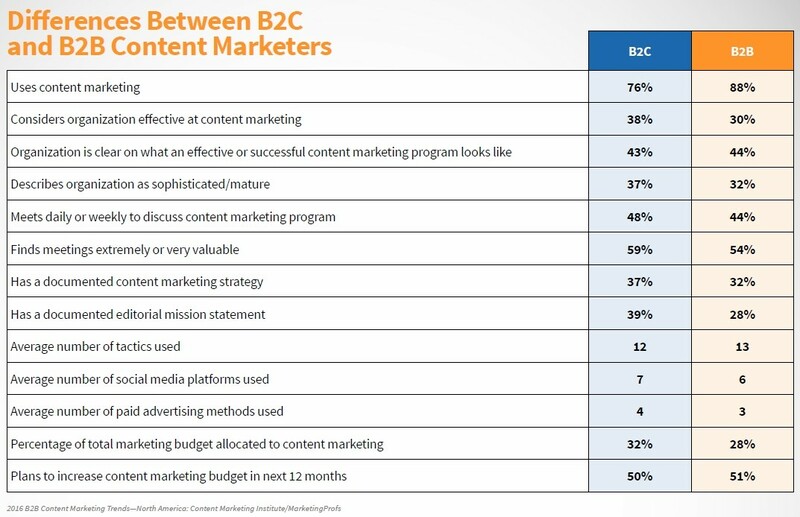 The findings presented in the report are derived from the sixth annual content marketing survey conducted by Content Marketing Institute and MarketingProfs, and sponsored by TrackMaven. We released the companion report, on business-to-business (B2B) content marketing, at the end of September. 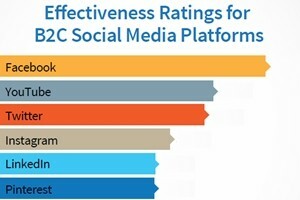 B2C marketers are also getting better results with Facebook, which is the social media platform they use most often. 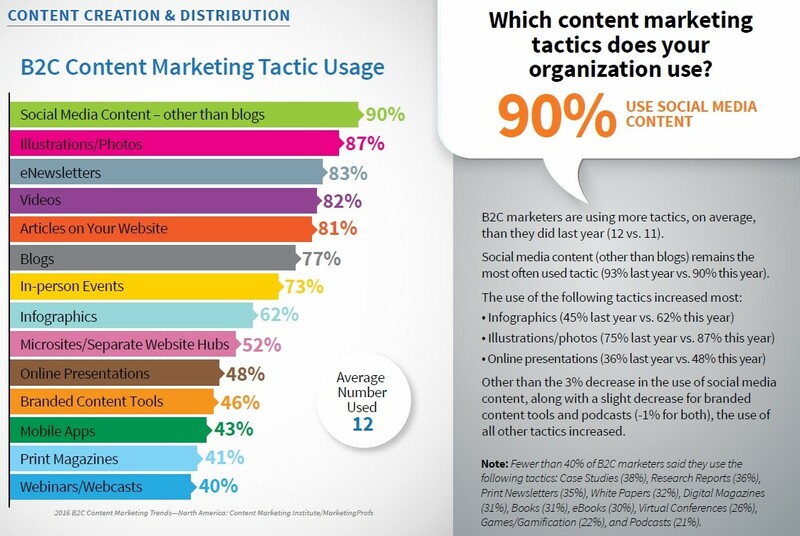 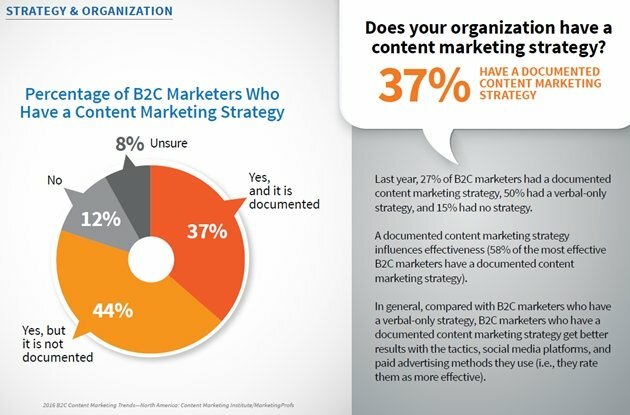 This year, 66% rated it effective, compared with 58% last year:B2C marketers have also made impressive progress over the past year with documenting their content marketing strategy: 37% have a documented content marketing strategy vs. 27% last year. Over the years, our research has consistently shown that marketers who have a documented content marketing strategy are more effective than those who have a verbal-only strategy or no strategy at all. More and more B2C marketers are using infographics (62% this year vs. 45% last year), making infographics the content marketing tactic with the greatest year-over-year increase. 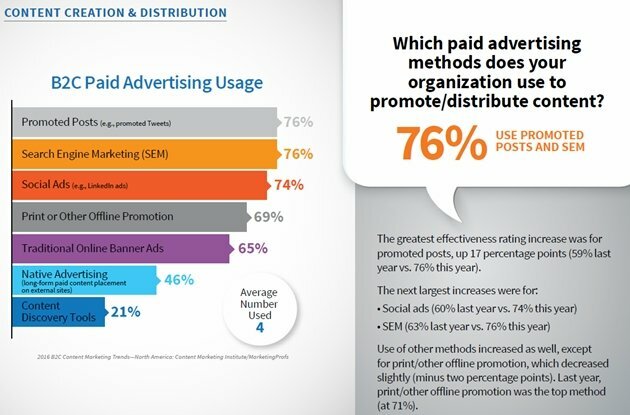 The effectiveness rating for infographics increased as well (42% said infographics were effective last year vs. 63% this year).